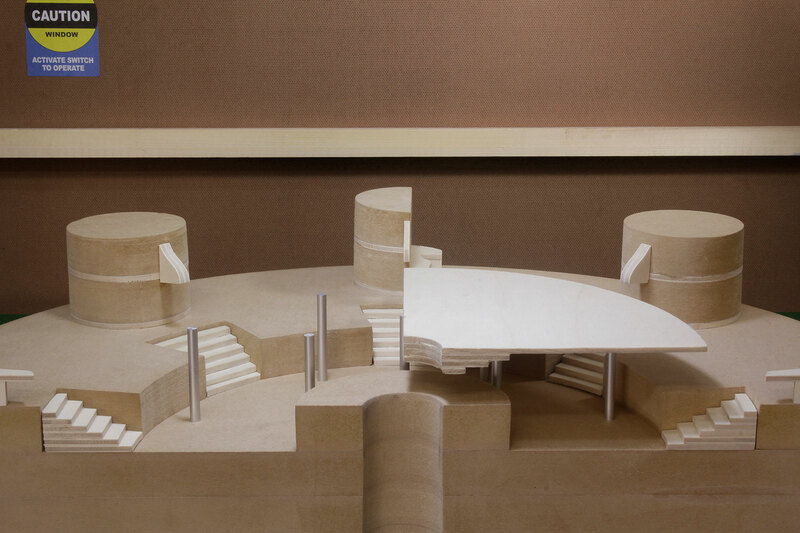 These two models, scaled to 1:30, have been designed to allow the visitor to get a broad vision of Giant’s Yard’s space. 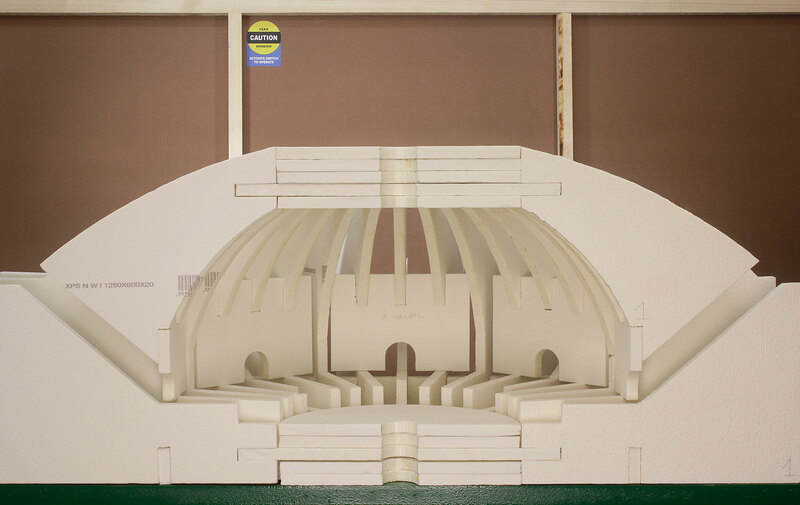 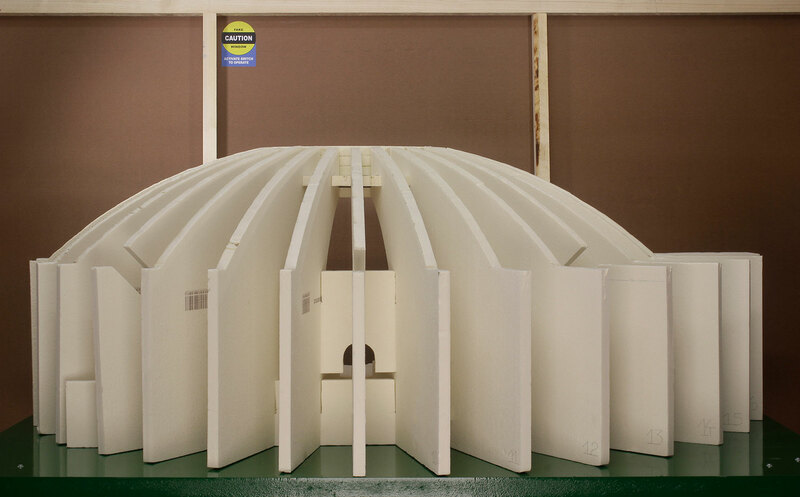 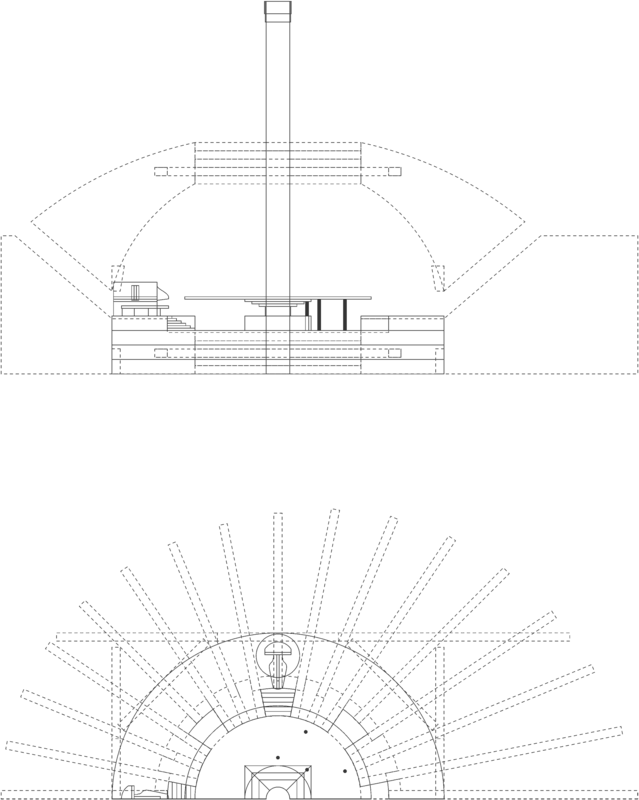 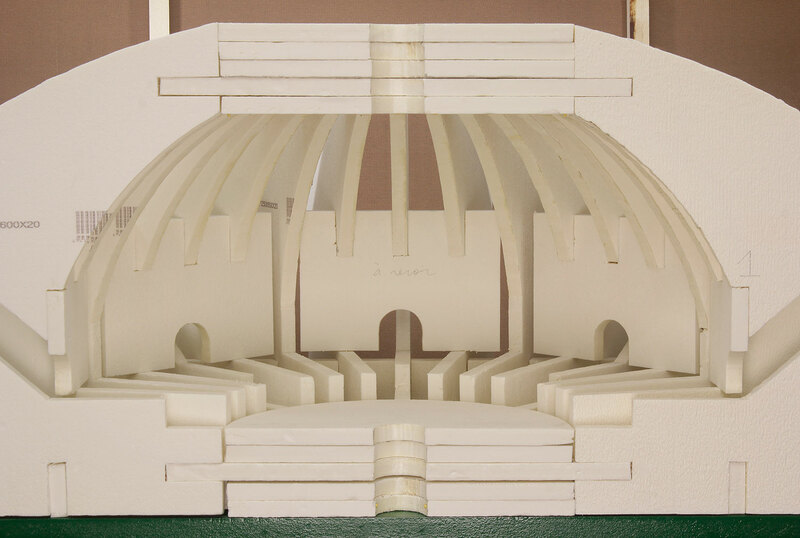 ♦ The first model, designed in extruded, assembled styrofoam offers a view of the outside of the underground architecture: a dome and its passage ways, all the way dug in a hill. 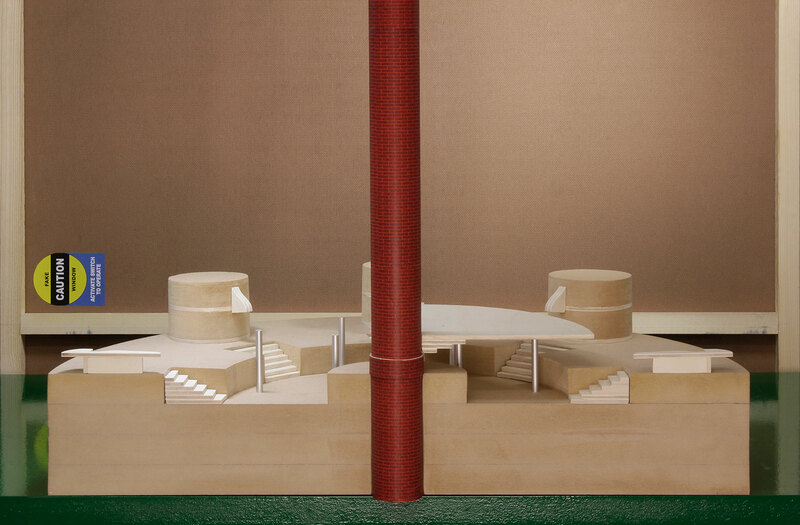 ♦ The second model, designed in glued expanded MDF shows the inside of the architecture: the 8 giants are placed in a circle around a monumental table projected over the kitchen, in the center of which stands the chimney.